The life of the miners and tunnellers during the First World War was certainly not an enviable one. Despite criticisms over their higher rate of pay and the fact that they were exempt from many of the frontline duties of the infantry, they had to contend with mud, gas, potential enemy camouflets and raids, dark, dirty and cramped conditions, and of course the ever-present threat of entombment underground. Iain McHenry’s book covers the history of one of the eventual 32 tunnelling companies. 177 company was established in June 1915 and served in many of the locations that are well known for mining activities during the war – Hill 60, Bellewaerde, Railway Wood, Messines, and Wytschaete among them. McHenry is aided by the comprehensive war diaries and maps kept by the company. Trench map references are purposefully included, allowing the reader to see exactly where the company was operating. McHenry has drawn on a wide range of additional sources to complement the sometimes ‘dry’ narrative that the war diary can give, and focuses on the men themselves as well as the activities they were undertaking. Alongside mining the company was also involved in constructing dugouts and clearing German booby traps during the summer offensive of 1918. It was also involved in setting up and running a mining school for training tunnellers in the techniques they needed to take the war underground – in particular listening for enemy counter-mining works. During the war the company suffered 44 casualties. This might not seem many in comparison to an infantry company, but given the circumstances in which they died highlights the dangerous nature of the work they were undertaking. Their legacy is the RE Graves memorial that sits above the mine workings at Railway Wood near Ypres, where the company spent almost two years working. The draw of Uniform Press’ publications is the fantastic production quality. Full-colour, decent size photographs and maps make such a difference, particularly in this case where maps and diagrams form such a core part of the story. 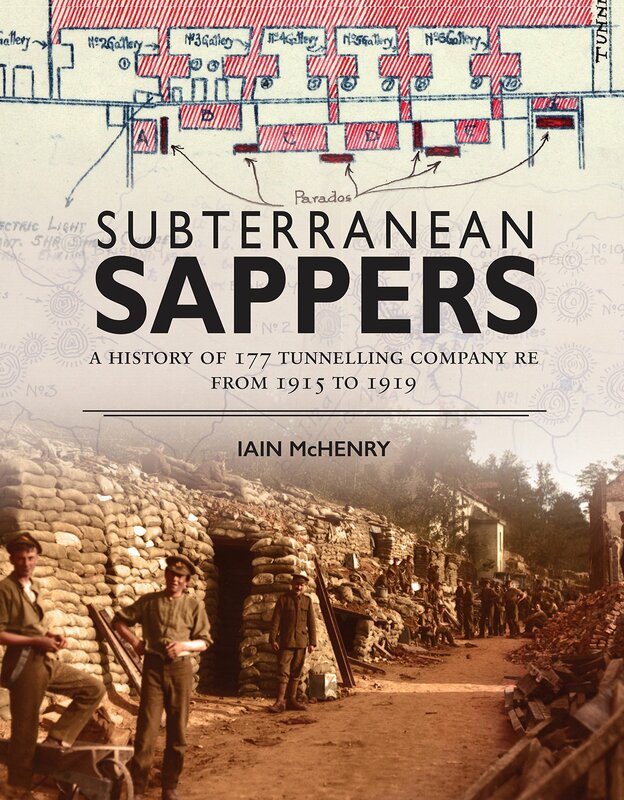 An explanation of some of the terms and acronyms used would have been beneficial for the non-technical reader, but not only is this an excellent unit history and interesting introduction to the work of the tunnellers during the war, but it is also a handsome addition to any bookshelf.